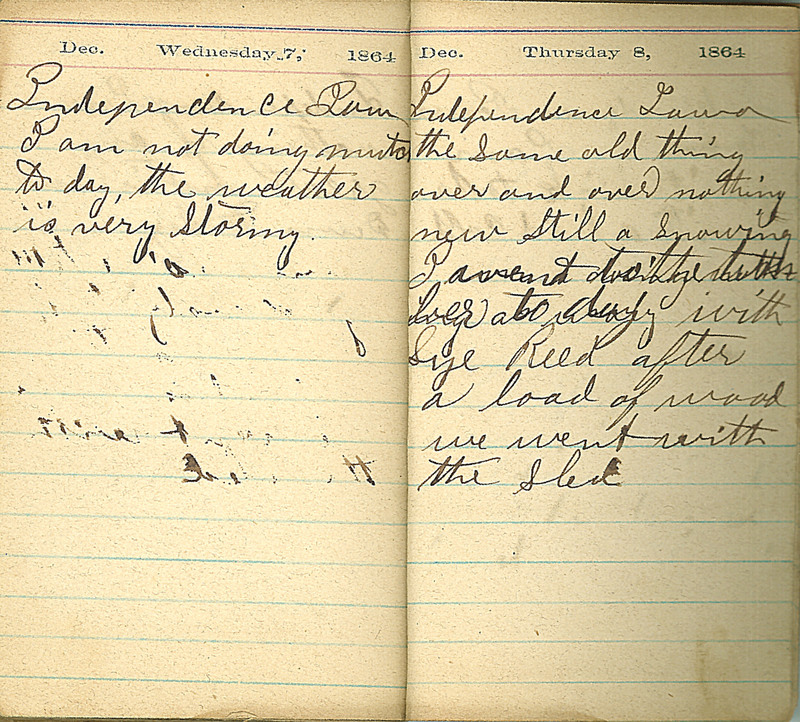 Dec. Wednesday 7, 1864 Independence, Iowa I am not doing mutch to day, the weather is very stormy. Dec. Thursday 8, 1864 Independence, Iowa the same old thing over and over nothing new Still a snowing. I went to the timber to day with Sye Reed after a load of wood we went with the sled.